practice with tests, exams, & quizes used by other students in their classes. read class notes, term papers, & essays from students who have taken the class. learn from others' mistakes by reviewing their projects, assignments,& homework. 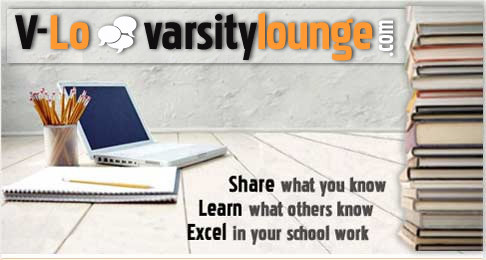 Read our blog on how VarsityLounge can help you with your studying. 526 posts from 1017 members in 137 colleges.